After wildfires, hillside communities that have been affected scramble to put barriers and other protection measures in place to protect homes from a debris flow. Time is of the essence. The risk is the highest right after a fire. That’s why community officials order evacuations in fire-affected areas as storms approach. 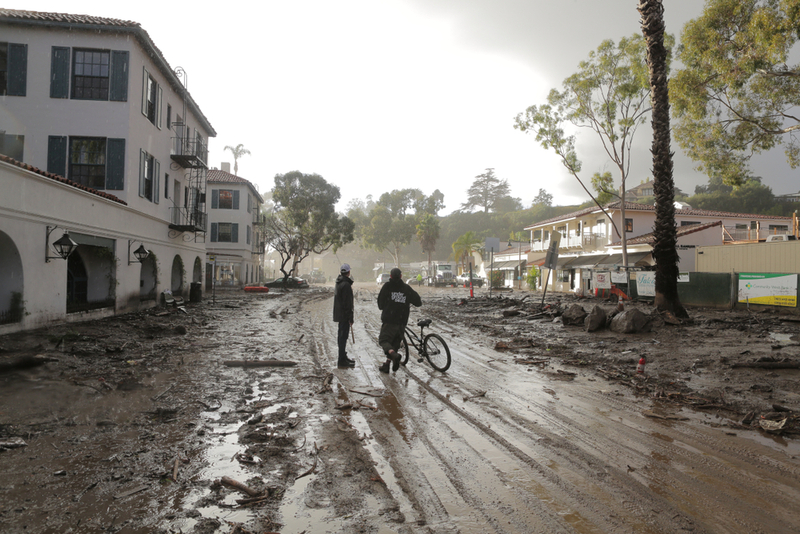 The devastating debris flows that ripped through Montecito and surrounding neighborhoods in the early morning of January 9th, 2018 provided a cold reminder just how dangerous it can be after a fire. Wildfires are devastating; we can see the results just by looking at the parched landscape. The wildfire destroys the vegetation. It converts trees, shrubs, and grasses to ash. But, fire also affects the soil, by burning and shriveling roots and cooking out moisture that helps to hold ground in place. It is this super-dried dust and ash that contributes to the high risk of mudflow after a wildfire. After the fire, the earth begins to heal itself, but it is a slow process. Just like any injury, it takes time before the ground can withstand other forces of nature. If the rain comes in manageable amounts, the water is absorbed and stimulates revegetation. It triggers processes in the soil causing the grains to interlock and bind together, upholding it and making the ground stronger. However, if substantial rains occur during this critical time after a significant fire and before the soil stabilizes, it inflicts further injury and damage. The story of the Montecito debris flows of 2018 began with the Thomas Fire; an enormous wildfire that started on December 12th and continued burning until the rains struck on January 9th. The Thomas fire burned over 281,000 acres, including steep terrain with drainage channels that flowed through Montecito. It was within these drainage channels that the ash and super dried dust accumulated. Much of it blown there by the same Santa Ana winds that fanned the fire across the land. The ash and dust collected, almost like snow drifts in the canyons and arroyos where the wind effects diminished. When the rain came, the water flowed quickly across the lifeless ground. The fires had burned all vegetation and left a semi-glazed surface that offered no impediment to the flow, which concentrated into the canyons and arroyos. The dust and ash drifts were quickly swept up into the creeks, thickening them like pancake batter. The thick mixture of dust and ash started to scour the creek channels getting denser, massive, and more powerful, first ripping up sand and gravel, and eventually capable of moving trees, boulders, and cars down through the canyons smashing through barriers and sweeping buildings off their foundations. Consequently, it was catastrophic. There is no way to eliminate the risk, but managing it is possible. We live on a dynamic planet that is always changing; albeit sometimes at the pace of geologic time, but at other times the landscape and peoples’ lives can be changed in an instant. It’s the way the Universe works. Natural hazards are an ever-present threat. 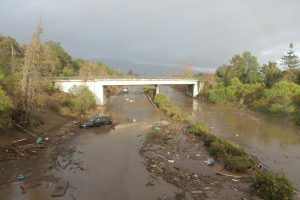 We tend to focus on the events that cause the most significant destruction like earthquakes, tsunamis, and hurricanes, but smaller more frequent events like mudslides are much more likely to affect our lives; even if it is just the inconvenience of having to take a detour because of a blocked road. To address the risk community growth should avoid the highest risk areas. Sound engineering applied to responsible development is the answer to the areas we choose to inhabit. Finally, Earth Systems can help you develop responsibly. 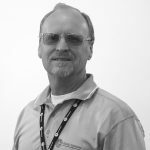 Our engineers and geologists have the professional, local knowledge to assist you in achieving your goals and solving your problems.